Not taking proper care of your teeth and neglecting your oral health can easily cost you thousands of dollars in restorative dental care. But, by practicing what’s known as preventative dental care, you can easily save yourself from the hassle of having to deal with and spending money for various dental problems. Preventative dental care emphasizes the proper education, treatment and practice of maintaining good oral health. It involves brushing daily, flossing, rinsing and even regular dental cleanings, all of which are designed to help prevent gum disease, cavities and a wide range of other dental problems. Preventative treatment can occur in the dental chair, with the most common form being the dental exam itself. The main purpose of a dental exam is to thoroughly check the teeth for any possible signs of gum disease, dental decay, cavities, so on. Taking X-rays may also be necessary, depending on the occasion. 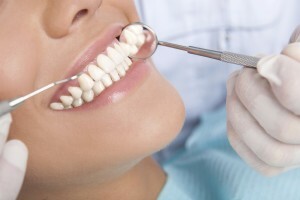 After the examination, the dental practitioner can recommend a thorough cleaning, which is also one of the best ways to keep cavities and gum disease at bay. Most of the time, one appointment is more than enough. However, if you haven’t been visiting the dentist often for regular maintenance and checkups, more than one appointment may be required. And if infection and other complications are already present, your dental practitioner may have to refer you to another specialist. The best way to prevent gum disease and other oral complications is to start early, which is why preventative dentistry in children is very important. As early as 1 to 2 years old, children should be taken to the dentist regularly to ensure a lifetime of dental health. For further preventative measures, sealants that can help prevent decay during the years (between ages of 6 and 12) the permanent molars start to erupt may also be applied. Orthodontics and the wearing of braces is also a popular choice among parents as this helps prevent misalignment as a child’s jaw slowly matures into adulthood. All in all, the key here is for parents to teach children proper dental hygiene habits and more importantly, be role models themselves. Preventative dentistry comes in many forms, including fluoride use, following a well-balanced diet, visiting the dentist regularly, regular dental cleanings and screenings, X-rays, use of mouth guards, oral health management and so on. The main goal here is to prevent all sorts of oral complications from gum disease, sensitivity, cavities, oral cancer, as well as many others and keep them at bay. And, when you consider the costs of treatment versus prevention, preferring the latter is a NO-brainer of a decision. Also, now that oral health has been proven to affect our overall health, there’s really no reason NOT to emphasize the importance of preventative dentistry. All things considered, preventative dentistry can not only save you both time and money, but it can also help you enjoy and look forward to a lifetime’s worth of a healthy smile! If you feel you need to begin preventative dental care, contact Dr. Rosenbuch at (561) 394-7888 or visit our website at www.cliverosenbuschdds.com.